"O men, arise! be conscious of your powers, for he who wills need not remain a slave. Just live as you would have your brother live; unfold each day as does the flower; for earth is yours, and heaven is yours, and God will bring you to your own." ~ Yeshua (Jesus). In ancient Judea, in addition to the Pharisees and the Sadducees were the Essenes, whose name meant- those apart. 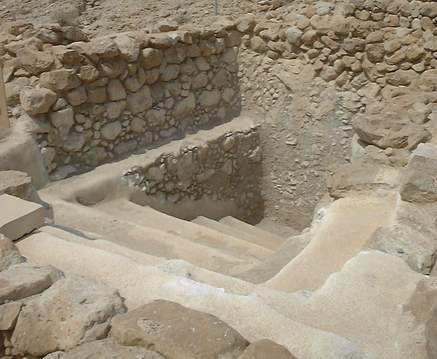 The Essenes have gained fame in modern times as a result of the discovery of an extensive group of documents known as the Dead Sea Scrolls, commonly believed to be their library. These documents include preserved multiple copies of the Hebrew scriptures untouched from as early as 300 BC until their discovery in 1946. The main source of information about the life and belief of Essenes is the detailed account contained in a work of the 1st century Jewish historiographer Flavius Josephus entitled The Jewish War written about 73-75 AD. 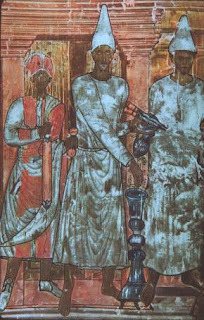 The Essenes averred that Moses had created them as a secret fraternity with Aaron and his descendents at their head. The prophet Jeremiah was a Master of the Essenes, and it was in his lifetime that they ceased to be a secret society and became a public entity. From that time many of the Essenes began living in communities. Isaiah and Saint John the Baptist were also Masters of the Essenes. Their purpose was to follow a totally esoteric religious philosophy and practice which was derived from the Egyptian Mystery schools. As the grandson of the Pharaoh, Moses had been an initiate of those schools and destined to ultimately become a head of the Egyptian religion. These teachings were themselves similar to religion of India: Arya-Dharma. Because of this the Essenes had always maintained some form of contact and interchange with India-a fact that galled their fellow Israelites. Regarding this, Alfred Edersheim, in his nineteenth century classic The Life and Times of Jesus the Messiah, wrote: "Their fundamental tendency was quite other than t hat of Pharisaism, and strongly tinged with Eastern elements." They rejected animal sacrifice, insisting that the Torah had not originally ordered animal sacrifice, but that its text had been corrupted-in regard to that and many other practices as well. They interpreted the Torah and other Hebrew scriptures in an almost exclusively spiritual, symbolic, and metaphysical manner. 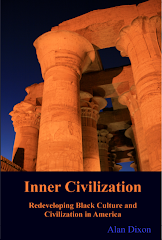 In contrast to all those around them, the Essenes held a universal, eclectic view of religion. They considered their male and female members-all of whom were literate-to be spiritual equals, and both sexes were prophets and teachers among them. This, too, was the practice in Hinduism at that time, women also wearing the sacred thread. They observed the identical rules of purity (shuddhi) as the Brahmins in India at that time, especially in the matter of bathing frequently (daily bath). Many have asked whether Jesus was an Essene. The similarity between the Essenes and Jesus and his community are immediately evident, the close community life, the sharing of a common purse, the daily bath, the importance given to common meals, and the urgent expectation of the kingdom of God. 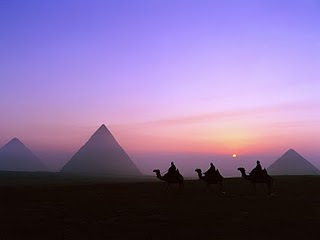 However the Essenes had been around many years before Jesus' birth and they did not go out to the world as Jesus did. It is also documented that John the Baptist was raised by the Essenes - but in his later years did not live amongst them. In the end, it can be concluded that the Essenes deeply influenced Jesus, either during time he spent among them or by being instructed by John or both combined. "His countenance was like lightning, and his raiment white as snow. "